If you love getting out on your bike but feel bad about leaving your dog at home, investing in a dog bike trailer could be the perfect solution. In an ideal world, it would be great to have your dog run alongside you on leash as you cycle. But many dogs aren’t bike savvy and will think nothing of pulling to one side or even running across the front of the bike. In short, the combinations of dog, bike, leash and speed are an accident waiting to happen. 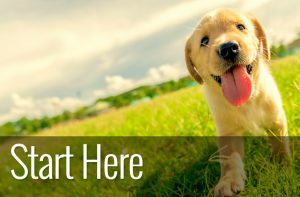 Even if your dog can be let off-leash, you still may have to travel some distance before you get to a safe place to let them free. That’s where dog bike trailers come in handy. Our favourite is the Aosom Elite II as it offers versatility and quality for the investment. Why use a Dog Bike Trailer? Apart from making cycling safer for both you and your dog, there are other benefits of using a dog bike trailer. Not only does it mean that both of you can take longer journeys together but it also means that dogs that would otherwise not be able to keep up can come too. As your dog will be travelling behind you where you can’t see what’s going on, safety must be the number one priority. If you’ve never used a bike trailer before it’s worth hitching it up and going out for a few rides without your dog to get used to it. Although most trailers are easy to pull even when you dog is loaded, cornering often needs practice. Safety – A wide wheel base, secure bike connection, internal leash connectors and supportive flooring all ensure a comfortable and safe ride for both you and your dog. What’s more safety reflectors and flags go a long way to make your dog visible to other road users. The Hitch – The hitch is the mechanism that connects the trailer to your bike. Some trailers offer secondary straps for additional security and you’ll want to make sure that the trailer is easy to hook up. Hitch height is particularly important as it can make the difference between a level trailer or a sloping trailer. Size and capacity – Always check the internal dimensions of a trailer. 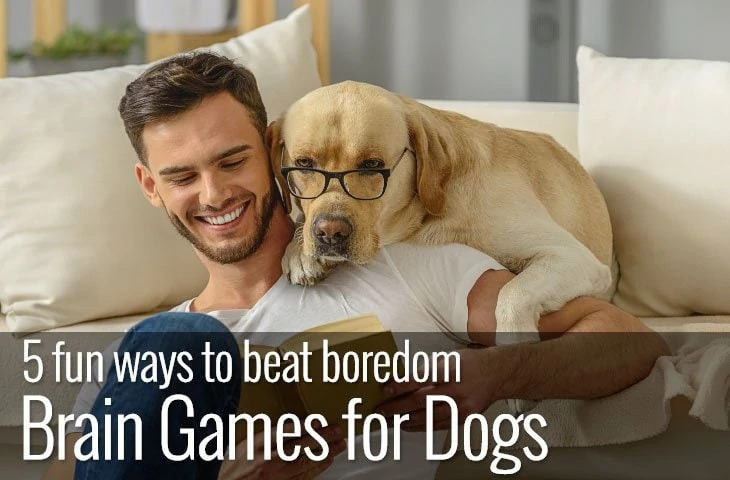 Ideally you want your dog to be able to sit up and lie down if they want to. Perhaps even more important though is to check the weight limit of the trailer. Keeping to the recommended weight will keep your dog safe. Weather Protection – Unless you’re a fair-weather cyclist you’ll want to consider how weather-proof your choice of dog bike trailer is. Also keep in mind that your dog will be in an enclosed space in warm weather so does the trailer have adequate ventilation? Portability and usage – Many dog bike trailers can be folded for easy transportation. Not only that but some models double up as strollers or joggers too. If you’re looking for a versatile trailer keep in mind the primary function that you’re buying it for. Upkeep – How easy is it to clean the bike trailer? After many hours on the road the last thing you want to do is to spend time cleaning. Easy care materials make it easy to keep your trailer in good shape. 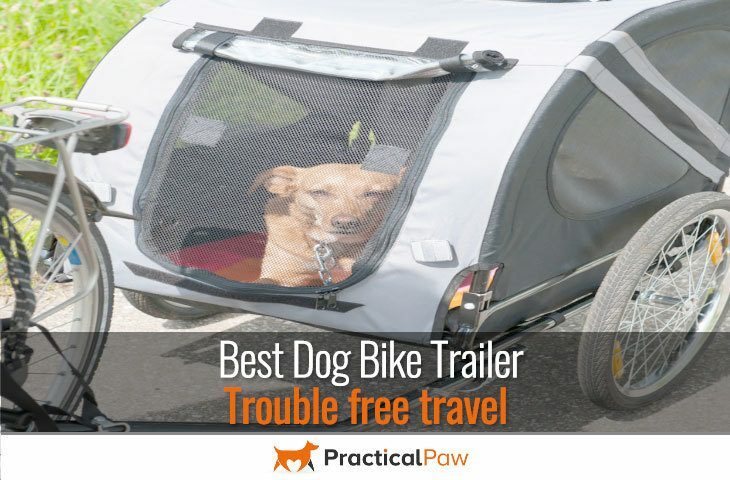 We’ve rounded up what we think are the best dog bike trailers based on the above criteria. While they all have their pros and cons we think that the Aosom Elite II offers the best versatility and quality for the investment. This a perfect and safer way to take your fuzzy friend with you for a bike ride. Coupler easily attaches to almost any bicycle for added versatility. Rim Material-Aluminum, Air filled tires inflate with standard bicycle wheel pump. Schwinn have been making cycles for over one hundred years so it’s no surprise that they they’ve used their extensive experience to develop trailers too. The Schwinn dog trailer is sturdy with a good wide wheel base. It includes an internal leash that’s adjustable to keep your dog secure and a safety flag and rear reflector to ensure other road users give you some space. 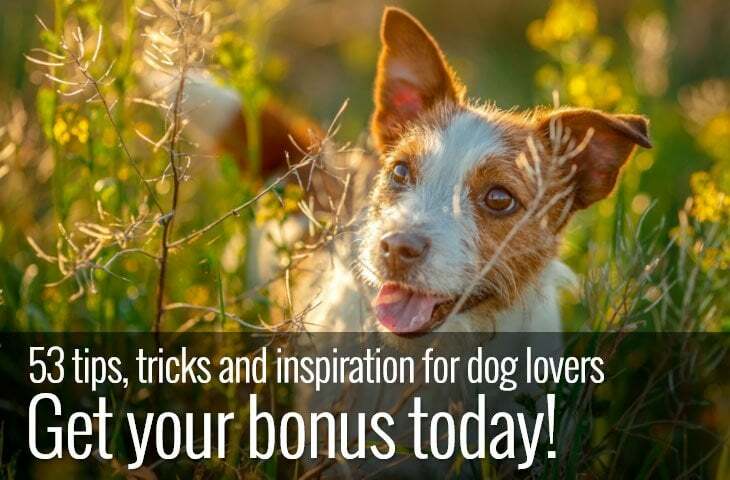 Your dog has plenty of ventilation with a doggy door at the back, side windows and a bug and weather protection sunroof which can be unzipped and rolled back to give your dog the ultimate sight-seeing experience. Inside there’s a non-slip and removable inner liner which makes it easy to clean and there’s enough room to add a dog bed or extra padding to make your dog even more comfortable. The unique folding frame and quick release wheels means that you can fold the trailer down for easy storage and the universal coupler means that it will connect to most cycles. The Solvit Hound About comes in two sizes which is ideal if you have a larger dog. With a maximum weight capacity of one hundred and ten pounds it means that even the biggest of dogs can enjoy a ride-a-long. With a light rust-proof aluminium frame that folds down for easy storage, it has a wide wheel base and low centre of gravity that makes it nice and stable. There’s plenty of ventilation provided by a front door with both a mesh screen and waterproof layer as well as a rear door with mesh screen and a generous sunroof. To keep your dog comfortable the Hound About includes a removeable and washable cushion and an internal adjustable leash to keep them safe. Although it doesn’t come with a safety flag you do get two reflectors included to help make you more visible to other road users. If you’re looking for a combined bike trailer/stroller you can get a conversion kit for the Hound About at an additional cost which makes it a good investment for an aging dog. This bike trailer from Rage Powersports really does fold down almost flat (without wheels) so if storage is an issue this is the trailer to choose. There’s a front and back entrance to allow your dog easy access. And there’s plenty of ventilation and protection with mesh windows and clear plastic roll-down window covers. It holds an impressive eighty-five pounds of weight ideal for larger dogs and comes with safety flag and rear reflectors. Made from a sturdy steel tube support frame and a water-resistant nylon fabric it’s perfect for all-weather cyclists and their dogs. If you’re looking for a 2 in 1 option, the Aosom Elite II is a great choice. This bike trailer can be converted in seconds to a stroller with swivel wheel or jogger with fixed wheel. It comes with adjustable handlebars, safety flag, internal leash plus suspension in the back wheels making it a safe and comfortable ride for your dog. There’s plenty of ventilation as well and three entrances which makes getting your dog in and out a breeze. 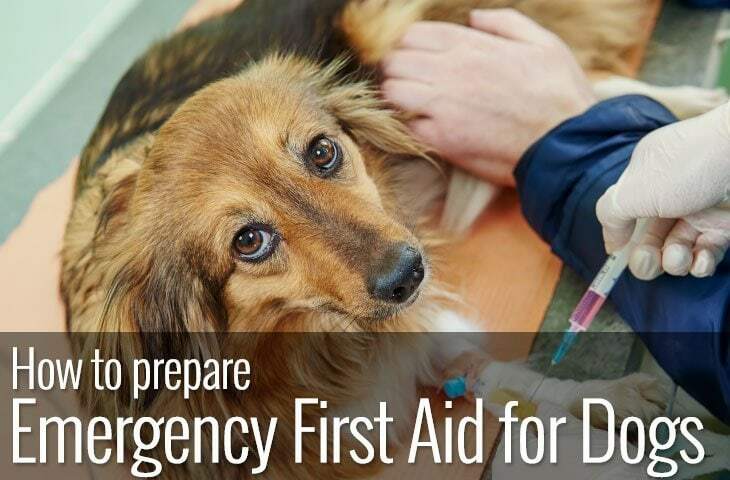 A separate rain guard on the front door protects your dog from the elements while the mesh underneath allows for maximum airflow and visibility. The Aosom Elite handles weight up to eighty-eight pounds so it’s capable of carrying large dogs in its sturdy stainless-steel frame. Versatile, foldable with comfort built in there’s a lot to like about this model. Our second choice of a 2 in 1 bike trailer and stroller is from Best Choice. Like the Aosom the front wheel can be used in a fixed position for jogging or a swivel position for strolling and then tucked away when using a bike. The trailer has with three openings, front, back and top allowing plenty of ventilation as well as easy access for your dog. It comes with a bug screen and is weather resistant and has a hand brake for extra stability when stopped. What’s more it comes with a safety flag and reflectors to let other road users know you’re there and an internal leash to keep your dog secure. Holding up to sixty-six pounds it comes with a removeable cushion and folds down for easy storage. Once you’ve decided to invest in a bike trailer for your dog, remember to take time to get your dog used to it before you take them for a ride. While some dogs will adapt well to riding in a trailer, others need a bit more time and patience. And it’s not only your dog that needs to get used to their new mode of transport. If it’s your first time using a trailer hook it up and take it out for a spin before loading your dog. Not only are you going to be pulling extra weight, but you’ll need to adapt your speed and cornering technique to keep the trailer stable. Our top choice is the Aosom Elite II as it offers both versatility and quality for the investment.